The firm has long association with Ireland since winning its first competition there in 2001. 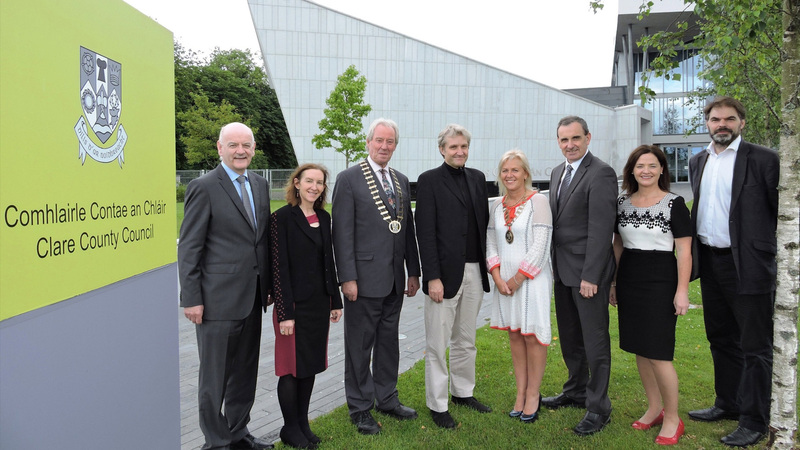 Its major award winning projects include the National Opera House, Wexford, Clones Library and County library headquarters in Clones (2011), and the civic offices and library (2004), and Luan Gallery (2012) both in Athlone. The new Clare Cultural Centre will become an arts-based hub for the region, extending the existing Glór Theatre by adding a new library and art gallery, to create some 2,300m2 of additional space. The contract signing took place at Clare Council offices in Ennis, and a planning application will be submitted, as early as is feasible in 2017. The practice is working with Arup, AECOM, Irish engineers AxisEng and OLM Consultancy on the scheme.